About the book: Kai was seventeen when he died saving Avery’s life, though he didn’t really have much to live for. After spending half his life being shipped around to different families, the only place he felt at home was on a street corner with his guitar. Now, it’s been six months since his death. Six months adapting to a new kind of existence where instead of making music, he uses his new healing powers to save lives. But in his off hours, he watches helplessly as Avery’s life is unraveled by his death. Avery doesn’t know that it was Kai who saved her life in the ocean, because her rescuer’s body was never found. Wracked with guilt, the ocean she once loved is now her tormentor. As her surfboards collect dust in the garage, the weight of her grief destroys her relationships and stretches her to a breaking point. Always willing to break rules for those he loves, Kai steals a ring that temporarily gives his body substance. With limited time, he does all he can to restore her life to the way it was before his tragic death, but Kai’s half-baked plans rarely turn out the way he thinks they will. My review: I loved this book. I loved the way the plot is really unique. I have never read a book like this before. Kai is dead and his job is to heal the people that are supposed to be healed. I love the way that he is a bit of a rebel and he's willing to break rules when he sees something that he knows needs to be fixed and that's just what he does for Avery, the young woman who saved his life six months before this story opens. He knows she's hurting and so he steals the bracelet from his friend, Charles, that allows Charles to have a tangible body. And that starts his latest streak of rule breaking. Avery is a great character too. I love the way she's so broken up over Kai's death and not remembering really anything about him that she can't be who she always has been. 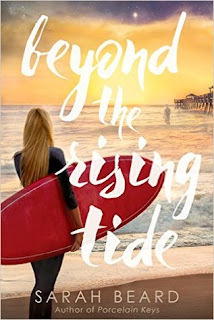 She's always been a crazy girl and she has always loved the ocean and surfing, but she can't stand to do that any more. And all of these changes appear to be driving her boyfriend away. I loved the plot and one thing that I really liked was that it seemed to me throughout the whole book that there was really no way that there could be a happy ending for this one, but I was so happy with the ending. This is an amazing book! I loved every bit of it! I was sent an e-copy of this book in exchange for an honest review. Buy your own copy here! Check out the book on Goodreads. 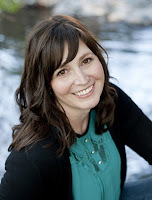 About the author: Sarah Beard is the author of “Porcelain Keys,” a YA contemporary romance. She has a degree in communications from the University of Utah and splits her time between writing and freelance editing. She is a cancer survivor and a hopeless romantic. She enjoys reading and composing music, and lives with her husband and children in Salt Lake City, Utah.